Mumbai has been blessed with certain unbeatable and serene places that are every nature lovers delight. It has the famous Sahyadri ranges that have created numerous waterfalls and house dense forest and massive forts that attract trekkers, nature lovers and many of Mumbai’s residents looking for a break. Going camping to any one of these sights can provide a sense of calm and adventure at the same time. Camping with a view overlooking the lake can amplify the entire experience and can rejuvenate you. Here are our top picks for lakeside camping near Mumbai. Vihar Lake is the largest lake in Mumbai. It stretches for over 27 miles and is surrounded by the dense forests of the Sanjay Gandhi National Park. The lake witnesses a large number of migratory birds during monsoon season and is a spectacle in itself. There are also crocodiles by the lake but those are mostly in the secluded area where human interaction is at the minimal. To visit some parts of the lake, a special permission is required otherwise most of the lake is free to explore. The Masunda lake or locally known as the Talao Pali is a famed lake in the Thane district. The lake offers facilities like boating and water scooters. The key attraction of the lake is the 20-foot statue of Lord Hanuman right in the middle of the lake. You can visit the Statue by paddle boats. There are also a number of eateries by the lake that will keep you satiated during your camp here. The lake is quite well known amongst the locals and is a must visit spot for visitors. The Upvan lake is located in the district of Thane. The lake lies partly in the forests of Sanjay Gandhi National Park and the Yeoor Hills. The lake is known for its serenity and the calming effect it has on its visitors. The lake is a popular meditation site for many yoga enthusiasts. The lake is also visited by people who prefer to workout in the fresh air as opposed to the closed environment of the gym. Visitors can also view a Hindu shrine in the close proximity of the lake that simply adds to the spiritual nature of the lake. The Tansa lake is a tranquil lake formed by the Tansa dam. It is a favoured destination for many tourists. The lake is surrounded by the Tansa wildlife sanctuary. The sanctuary attracts several migratory birds that make this place its home for a while before moving on to their final destination. There is also an option to spend a night here at the night camp during which you will be educated about the history of the dam and be taught certain essential camping skills that will prove hand for you during your stay. Shirota Lake is a fairly unexplored destination a stone’s throw away from Mumbai. The serene and scenic location makes it a go-to spot in the trekking community. The camp provides a wonderful view of the sunset that you can enjoy with your loved ones or friends. The camp also offers stargazing at night and you can wake up to the sweet music of birds chirping in the morning. Fishing and Kayaking lessons are also provided by certified instructors. The Bhatsa lake is located in Shahpur, in Thane district. The lake, although not as large as the Vihar lake, heavily contributes to Mumbai’s fresh water supply. The lake came into existence with the Bhatsa Dam formation and draws water from Bhatsa and Corna rivers. 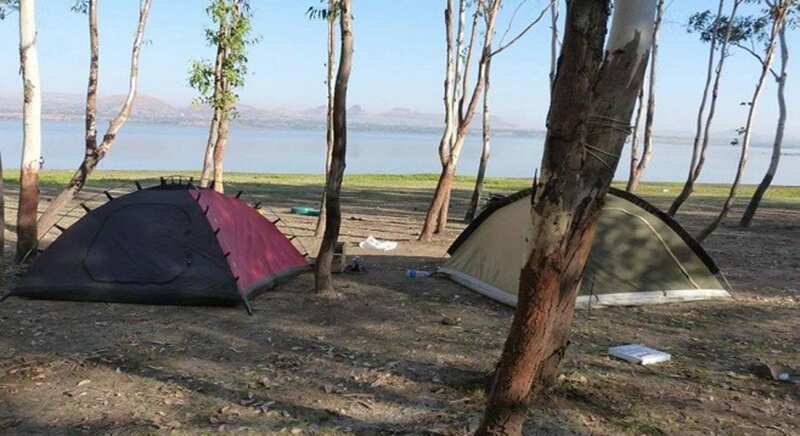 The campsite is visited heavily during the monsoons and gathers a large number of visitors during that season. You can spend your time here reveling in the beauty of the lake as well as marveling at the massive man-made dam. The Takve lake offers a multi-adventure campsite. The campsite is located next to the lake, which is very near to Kamshet. The camp offers service like river swimming, river crossing, and kayaking. The camp also offers additional activities like commando walk, skywalk, Tarzan swing and net climbing at an additional price. You can choose to attend the camp for a day out as well as for overnight stays depending on your preferences. Vaitarna Lake is a popular camping destination in the idyllic town of Igatpuri.The Vaitarna Lake was formed as a result of the Vaitarna dam built in it’s near vicinity.The lake is one of the primary sources of providing fresh water to Mumbai and its purity is proven by the crystal blue water you get to witness at the lake. Visitors can participate in the trek that leads to the nearby forts in Igatpuri, however, the main attraction is the stargazing activity conducted here at night.If you choose to do neither of the activities you can just lay by the lake, drowning in its beauty. The Pawa Lake is an artificial lake near the city of Pune. The lake was formed as a result of the Pawna dam construction. There are options for an overnight stay by the lake and depending on the size of the party, tents are given accordingly. Visitors can engage in activities like star gazing, cooking up a barbeque and light a bonfire. The camp is also close to forts like Lohagad, Tikona, and Tungi that you can also visit. The Mukne dam is located in the hill station of Igatpuri. Igatpuri is nestled deep in the western ghats of the Sahyadri range. The town due to its location and climate attracts a lot of trekkers. 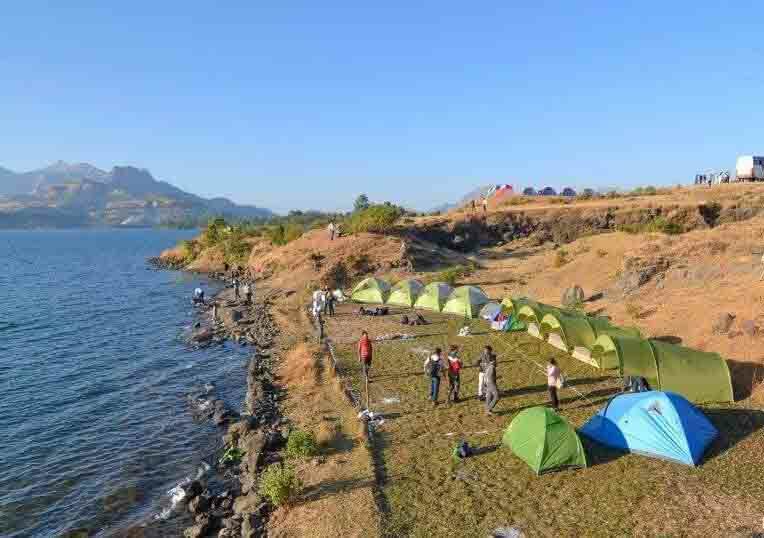 The Mukne dam campsite is another treasure that the town of Igatpuri has for its visitors. The campsite is situated in a tranquil surrounding. People can engage in activities like trekking, hiking, and swimming by the dam. At night people can indulge in the stargazing activity that the camp offers. 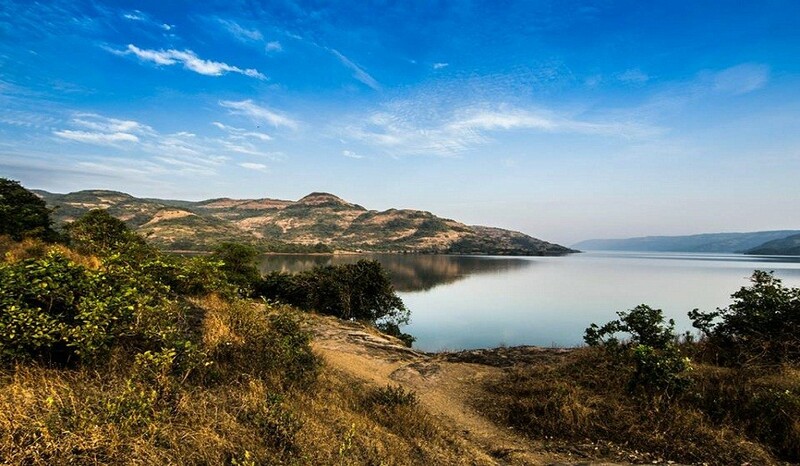 The Bhandardara lake is an important landmark in the district of Ahmednagar. The campsite is situated by the icy blue waters of the lake. During the monsoon season, the water level of the lake rises and submerges some area of the nearby land giving the area an island kind of look. Visitors can go trekking during the day in the light forests nearby accompanied by local guides. At night, during their mating season, millions of fireflies gather here and glow in the dark giving the surroundings a celestial look. Kundalika river flows through the village of Kolad. Kolad is a popular camping spot nestled in the Sahyadri hill. The area is blessed with wonderful landscapes and lush greenery. The campsite is a visual treat for any nature lover. The camp offers activities like water rafting, boating, kayaking and water rappelling to pump adrenaline in your body. The camp also has beautiful cottages that you can stay in if you decide to extend your stay here. Camping by a lake in all its beauty can be the most intoxicating experience one can ever experience. The serenity, sense of adventure, and the solitude leave the camper with an entirely different perspective of himself as well as nature. So the next time you go on lakeside camping near Mumbai, share your journey with us in the comments section below.